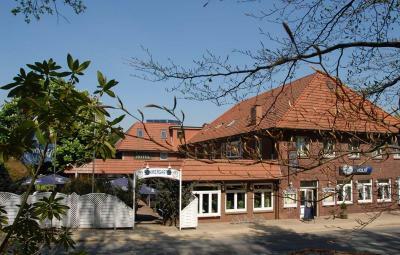 Hotel is located close to Buchholz where my daughter lives. Excellent breakfast! 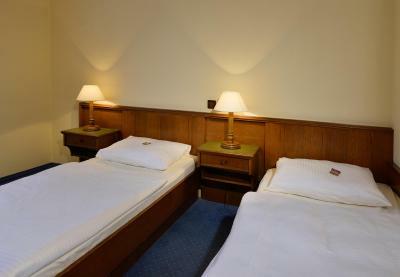 Very comfortable beds in a quiet room. 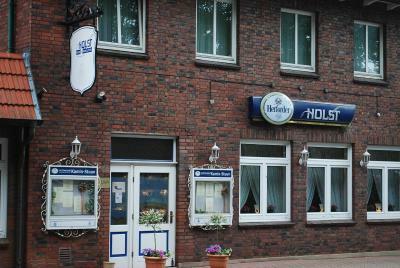 The hotell Holst is my friends favorit. It was nice to have candy on the pillow, many outlets for electronics, a fine shower with many towels. The bed was nice despite is was a two-bed instead of a single bed. Nice staff. Clean spacious rooms. Pretty silent. Lovely area on daylight, there are horses and beautiful views before hitting back to highway. Very helpful lady on late check-in. Plenty of space for parking car plus trailer. 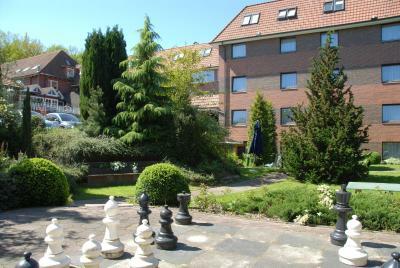 Beautiful setting, with gardens. 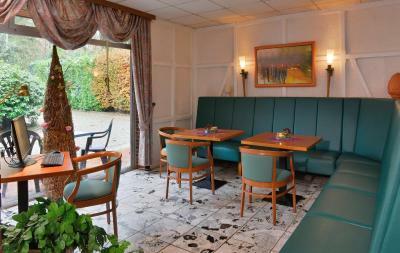 Lovely breakfast room and breakfast. Breakfast is basic but good. Pool area is fine, however the pool is a little bit cold. Really friendly owner and willing staff. 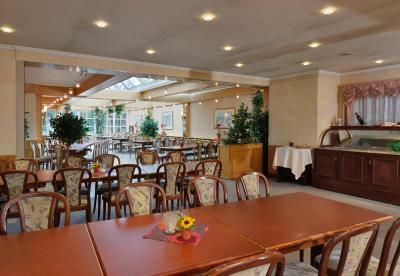 Good food and potentially superb facilities. Sehr freundliches Personal. 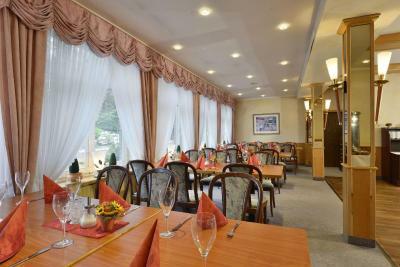 Nettes Hotel mit freundlichem Wirt. 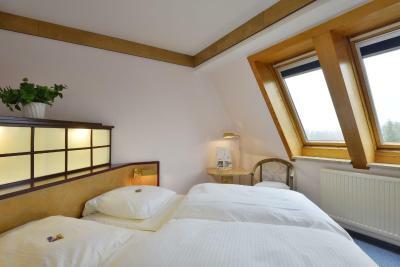 Hotel Holst This rating is a reflection of how the property compares to the industry standard when it comes to price, facilities and services available. It's based on a self-evaluation by the property. Use this rating to help choose your stay! 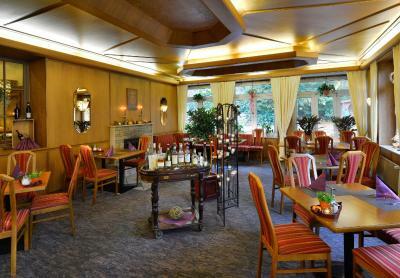 Set amid an beautiful, hilly landscape in the town of Rosengarten, this hotel features a 984 ft² spa area with a pool, and free Wi-Fi internet access in the restaurant, bar and lobby. 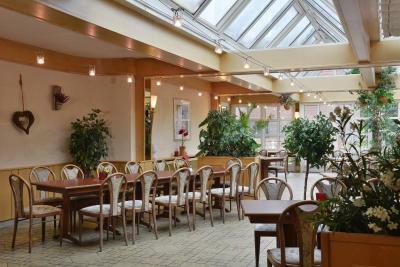 For dinner, visit the Holst's elegant Kamin-Stuuv or the rustic Buurkroog restaurants, and enjoy Lower Saxon homemade specialties, as well as international cuisine. During the summer, you can dine on the pretty patio. 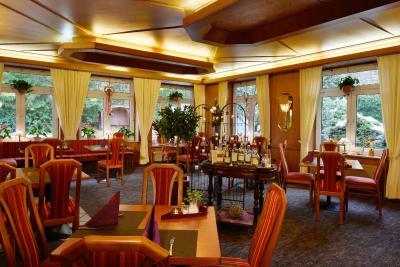 After dinner, relax with a refreshing drink in the Rosengarten Bar. This property also has one of the top-rated locations in Sieversen! Guests are happier about it compared to other properties in the area. This property is also rated for the best value in Sieversen! Guests are getting more for their money when compared to other properties in this city. 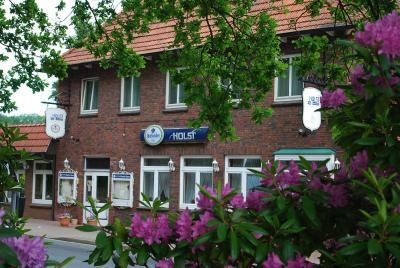 When would you like to stay at Hotel Holst? 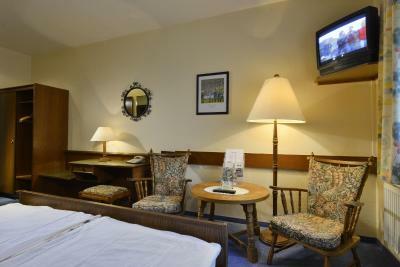 Spacious room with classic-style décor offers a TV and a private bathroom with a hairdryer. 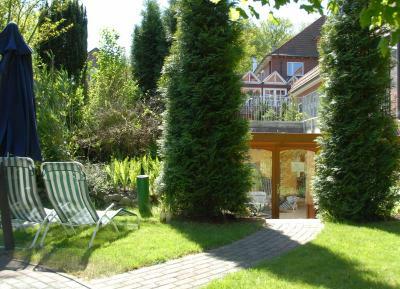 Features extra space and delightful views of the forest and meadows. 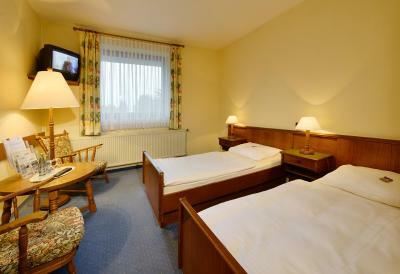 Spacious suite with classic-style décor offers a TV and a private bathroom with a hairdryer. 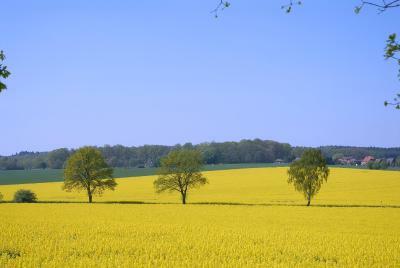 Also features charming views of the forest and meadows. Includes either a waterbed or a spa bath. 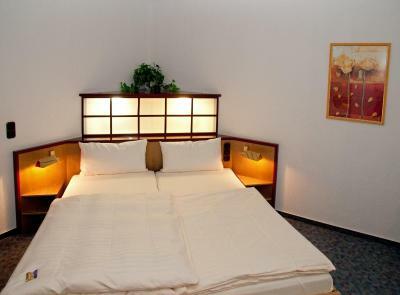 These are the cheapest rooms in the hotel, and are basically furnished in a 1980's style. WiFi in not available in the room, but guests can use free WiFi in the foyer. 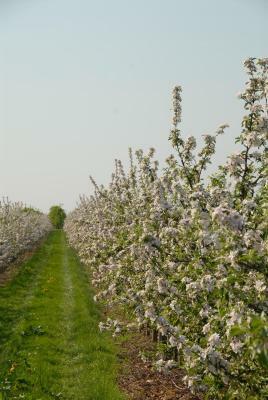 The rooms are quietly located and offer a view of the garden. 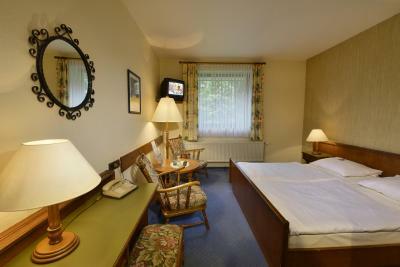 Features extra space, a mini-bar and delightful views of the forest and meadows. 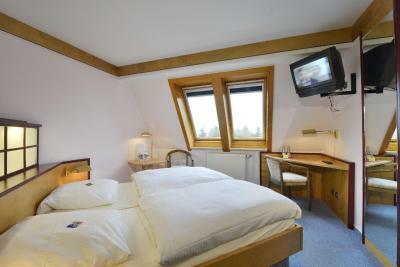 This room features satellite TV, a telephone, a desk, a seating area, and garden views. 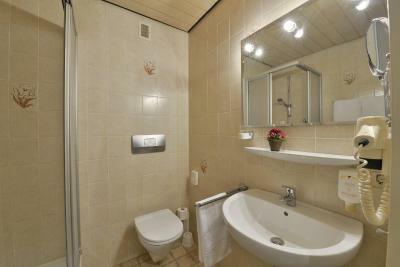 The bathroom includes a shower, hairdryer and vanity mirror. WiFi is not available in this room category. 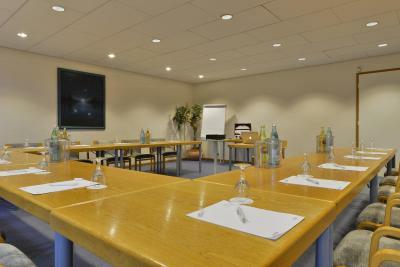 This room features a flat-screen satellite TV, free WiFi, a seating area and a desk. 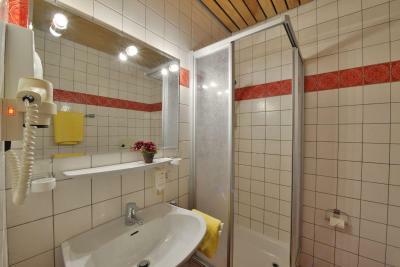 There is also an private bathroom with a shower, hairdryer and cosmetic mirror. 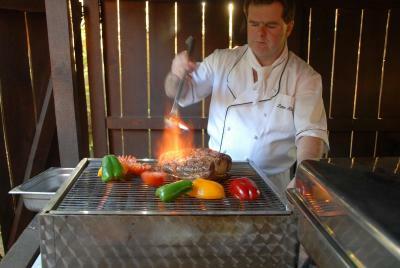 House Rules Hotel Holst takes special requests – add in the next step! Debit card Hotel Holst accepts these cards and reserves the right to temporarily hold an amount prior to arrival. Hotel Holst accepts these cards and reserves the right to temporarily hold an amount prior to arrival. Please note that use of the spa area and pool incurs a small service fee. Great location before diving into Hamburg! Tired decor Bathtub plug failed to work so no bath possible Had the plug work, the jacuzzi function didn't . . . Had to go hunting for toilet paper as they left only one mainly empty roll No kettle / drinks in the room Booked a family room, but turns out family room is for 2 adults and if you want to add a child it's 15 Euros per day . . . and they get the sofa bed . . . not a dedicated bed. Charged 9.60 Euros for hot water so we could make a drink in the room Swimming pool used to be free if you were staying at the hotel, now it's 3 euros per person per day (they change the code on the door) Weekend breakfast runs from 7.30 - 10.30 . . . we arrived first morning (Saturday) at 9.30 . . almost nothing left. Had to ask for: bread, hot water, tea bags . . Reservation was for 210 Euros . . . ended up paying 345 Euros I would say that many of the above could be overlooked if only the customer service was excellent . . . But, in addition struggling to communicate with the check-in on the first night (I don't speak German and she didn't speak English) . . . The night I was charged 9.60 Euros for hot water, I was assisting the guy behind the bar getting me some hot water but collecting a couple of tea pots . . . I guess I picked them up from the wrong place as I actually got yelled at by the chef (in very loud German) which caused people around to stop and look at what was going on . . . Summary: poor value for money, poor customer service, poor facilities, and over-priced. For those that may think I'm just a complainant . . . I have written many positive reviews. As the owner of a hotel web-based booking engine, I will be removing this property from my list. The fan in the bathroom was loud. Staff were rude. 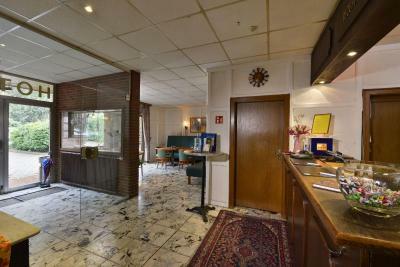 The hotel is very old and the rooms desperately need updating and they smell awful. All the carpets on the floors are moldy etc. The sauna in the hotel is locked and you have to pay extra for it. But they don't tell you this on the website or in check in and looked at me like I was an annoyance when I asked. Very hot with no AC, just open windows. For one, I ordered two single beds but got a two-bed instead. We were out-looked at arrival and I got the mail about it the next day. My friend and I have problem with walking and carrying things so after a day of travailing it would be grateful with some support of staff caring the bags. 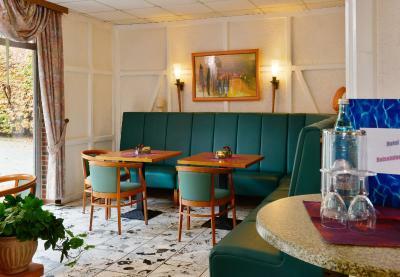 Expect outdated very "traditional german" place. No wifi and you can't change even tv language. Unexpectedly roomcleaning wanting to enter already at 8am... Asking 20e/night for a pet and poor communication via bookings, had to google their email in order to get answer. First time in a water bed. Extremely uncomfortable. Some tea/coffee-making facilities would have been nice.